Nintendo Life recently had the opportunity to talk to the production team behind Xenoblade Chronicles 2: Torna - The Golden Country. Over the course of our conversation with Tetsuya Takahashi, the game's Executive Producer from Monolith Soft, Koh Kojima, the Producer (also from Monolith Soft) and Genki Yokota, the Director from Nintendo, we chatted about the new expansion, its development, localisation and even the a cut version of the ending of the main game. We even confirmed the name of a previously (officially) un-named blade! Nintendo Life: Torna - The Golden Country is a standalone story that takes place during the Aegis Wars, 500 years before the events of the main campaign. Can you tell us what the significance of this time period in Alrest is? Takahashi: Well, for Torna - The Golden Country, I can tell you that first off when we were considering this content, we originally planned to sandwich it between the seventh and eighth chapters of the main game. The more we dug into it, however, the more we realized it was a very expansive story we were trying to tell, and it would be too difficult to fit it into the main story, so we approached Nintendo and asked them what we thought should be done. After talking to them we decided we should. You’re probably familiar with Jin from the main game and we had a really important story we wanted to tell about his character and we're using the DLC to do that. For those that are new to the game, what order should they play the two stories in? Takahashi: Speaking purely from a personal perspective, I’d say if you haven’t played either, you should start with the Xenoblade Chronicles 2 main game, finish up until Chapter 7, then play through Torna - The Golden Country, then finish the rest of the game from Chapter 8. That's sort of in line with our original concept that I outlined in my previous answer. But, of course, we designed both of these games to be able to be played by players who aren't as familiar with the series, but I would say that Torna - The Golden Country features a number of updates from the main game that may make it easier for new players to get into, so that might be another way for players to approach the series. Torna plays quite differently from the main game. Are you concerned that players may find the transition between battle systems and mechanics jarring? Takahashi: Basically, some of the largest differences you’ll notice in the two battle systems are in the control, and as I’m sure you’ve noticed, how battles play out and feel, but they’ve been designed to not feel too jarring to the player regardless of the order you play the two games in. Part of the thinking in designing the differences between the two games is that we have this big gulf of time that has passed between Torna and the main game. 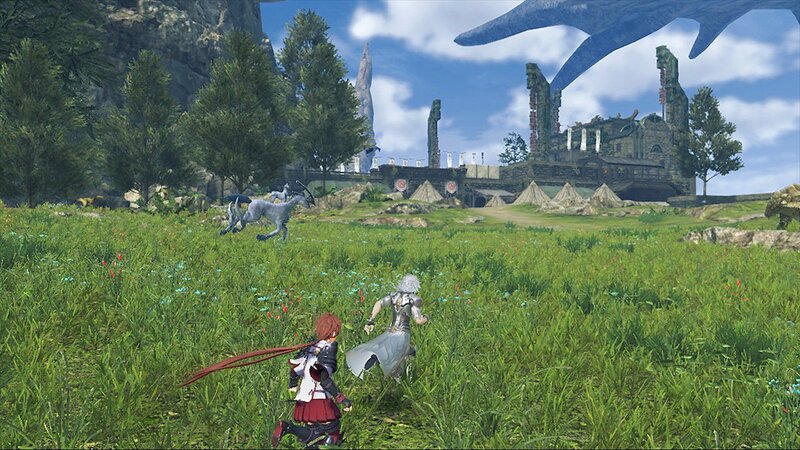 In Torna, the relationship between blades and humans had not been refined to the kind of coordination and symbiosis you see in the main game. So you’re switching back and forth between controlling different party members in Torna, whereas by the time of the main game, things had progressed into relationships between blades and humans to the point that they’re working together more symbiotically and that represents itself in the battle system as well. Takahashi: So first off, with the battle systems in Torna as well as other systems that have changed from the main game, as we were coming up on wrapping up the second half of development of the main game, I really started to have a really strong feeling of wanting to create systems and subsequent content that would really make it easy for players to engage with the game, and I had a really strong impulse to realize that idea. Along with that feeling, I also thought that if we were going to go through all of this trouble to create a separate DLC, we may as well try to include as many new gameplay elements as possible, that manifested itself in new story and characters as well. 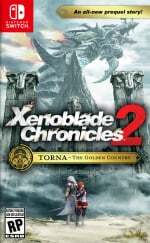 Does anything carry over from Torna to Xenoblade Chronicles 2, or vice-versa? Takahashi: While we don’t have any save data or gameplay that carries over directly from the main game into Torna, we do have some visual surprises cued up for those that clear both games. 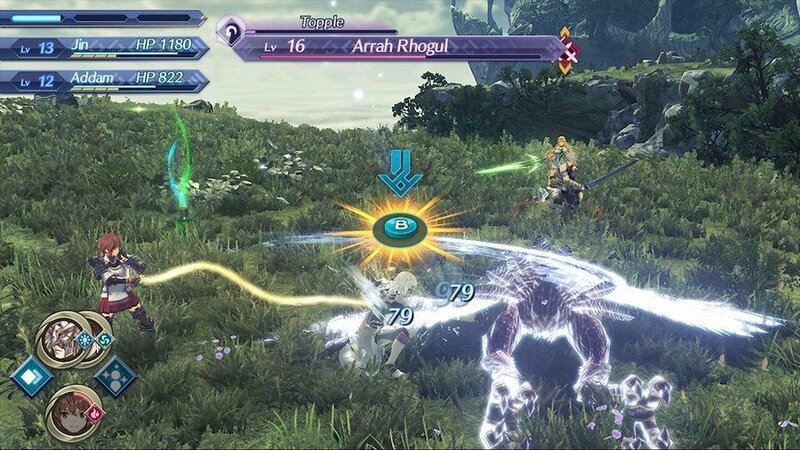 Are there plans to continue support for Xenoblade Chronicles 2 following the launch of Torna? Takahashi: No. Right now we are actually planning for Torna - The Golden Country to be the final content for Xenoblade Chronicles 2. Is that true of just story content or all content? Takahashi: There are no plans for any additional content for Xenoblade Chronicles 2. In the US, the names of many blades and characters were changed, could you tell us the origins of some of the Western blades’ names, like Dromarch? Yokota: The localisation for Xenoblade Chronicles 2 was handled by Nintendo of Europe. After laying out the overall translation policy they could follow with Monolith, they left the smaller localisation decisions to them to do with as they saw fit. In previous interviews, the team said they didn’t like the ‘JRPG’ term for Xenoblade Chronicles X, as they were trying to make a game for everyone rather than just the Japanese audience. Xenoblade Chronicles X featured a more realistic art style. What drove the decision to change to a more anime-like art style? Takahashi: I’d like to restate that my feelings about the term ‘JRPG’ are still the same. 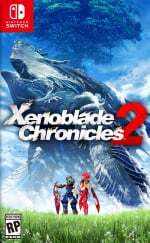 When comparing the look of Xenoblade Chronicles 2 to Xenoblade Chronicles X, we’re making these games for a worldwide audience, and I think we have a feeling at Monolith that if we’re going to be sending these games out to a worldwide audience as Japanese game developers, we feel more comfortable adopting a style that we feel we can do justice to, as opposed to skewing too close to something that would be overtly realistic. So, we went for a style we felt we could do the most justice to. There’s been some talk among players about how many of the blades turned out as attractive women. Could you give us some insight into the design process behind the blades? Takahashi: So, we worked with a large number of character designers on Xenoblade Chronicles 2, and when giving our requests for character designs to them we didn’t go so far as to specify whether we wanted male characters, female characters, or beasts. Instead, we gave them elements of those characters and how we would like them to perform in battle. We left it up to the designers at that point, and we ended up with a lot of females, and I think that’s the best answer I can give. 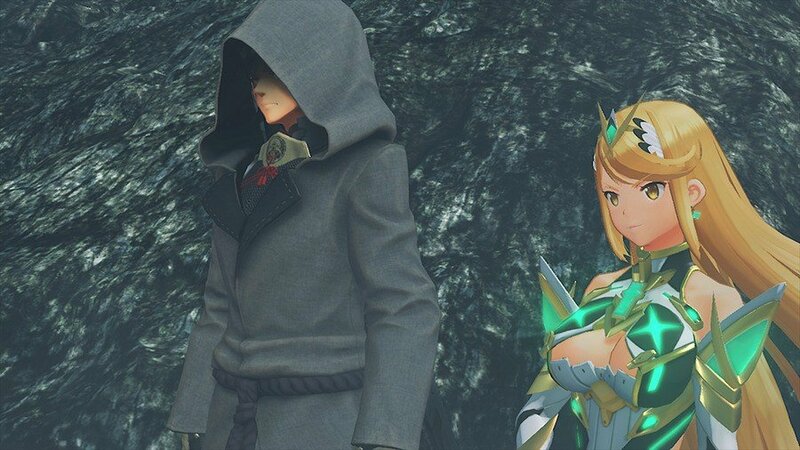 At the end of Xenoblade Chronicles 2, Pyra and Mythra sacrifice themselves to save Rex, only to appear alive later on. Can you tell us what happened and what happens to them following the ending? Takahashi: [Laughter] Originally we envisioned the ending sort of in an Inception-style where you would see a cutscene with Rex’s core crystal glowing, and that would be the end of the game. But, while making the final scenes of the game, I really thought we should give players a clearer sense of closure, and I really started to come around to the feeling of ending the game on a happier note. The players have been through this incredibly long, trying the experience of completing the game, so why not give them a happier note to finish on? So we thought, "Well, okay, we'll bring back Pyra or Mythra, which one should we use? Or maybe we'll bring back—what's her name? The green-haired one." In any case, we thought about ending the game with one of these female characters joining Rex again, but I decided to roll with the feeling of a happy ending of sorts and thought as a bonus why not bring both Pyra and Mythra back as a bonus for the player at the end of the game? Is that third character Pneuma? NOA Representative: There's no official name for the character, but we'll get back to you on that. Editor's Note: True to their promise a representative from Nintendo of America did reach out to Nintendo Life to confirm that while the character is not named in-game, she can be referred to as Pneuma. Is there any message you can give to fans that want to see a sequel? Takahashi: At Monolith Soft we’re constantly thinking of new things we want to create, and that, of course, includes the Xenoblade series, but at present, we have no firm plans for continuing the series. We'd like to thank Mr. Takashi, Mr. Kojima and Mr. Yokota for taking the time to sit down and speak with Nintendo Life. What do you think after reading the interview? Do you wish we'd get more Xenoblade Chronicles 2 content, or a sequel? Let us know with a comment below. I can’t wait to start Torna - I have the Pass, just no time to start it yet. I actually wish the ending was a little more bittersweet - I don’t want to spoil anything, so I will leave it there. "The players have been through this incredibly long, trying the experience of completing the game, so why not give them a happier note to finish on?" Exactly!... Thank You for this NL!. These guys rock! I'm perfectly fine with the anime artstyle. If people didn't have a problem with the anime artstyle back when Xenogears or Final Fantasy VII (after Amano's watercolor artstyle) came out, they shouldn't have a problem now. Thanks for the interview by the way. Confirms pretty much everything we already knew from past interviews. That's funny, the original ending idea he described was actually what I was expecting, but while I typically like more subtlety, I actually am okay with the way they went with it. The game is great, one of my top games ever and Torna has been great so far (over 20 hours in). 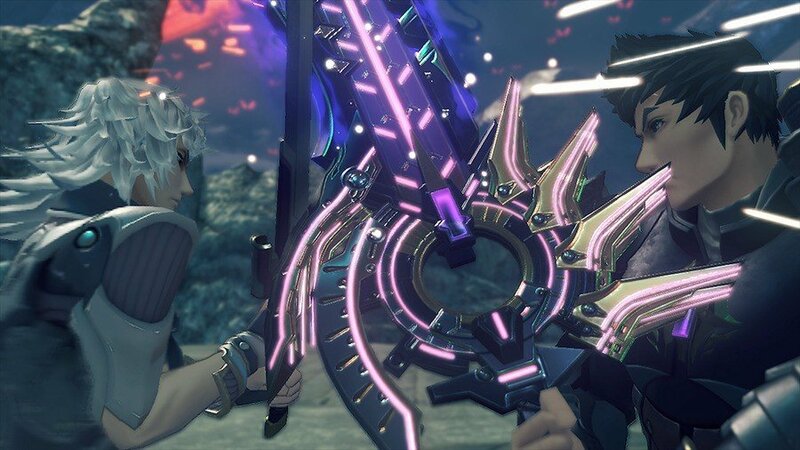 In some ways I almost like Torna more as it doesn't feel so overwhelming and it doesn't have random blades. The core crystal glowing would have been very cool. I think I prefer that ending. It kind of reminds me of the perfect ending of Mass Effect 3. Interesting...kinda of a bummer to see that there will not be any more content for this game. My favorite RPG right now. It strikes a perfect balance I terms of story and a fun combat system. I just want some of the music to carry over to the main game. I like the jazz in Torna. Oh well. Fantastic interview! It's great to hear from the XC2 guys. I LOLed at the description for why so many female characters, basically "We turned it over to the designers, didn't specify any rules or limitations, only what their functional feature set is, and this is what we got back. FML" Also is it wrong that I read that paragraph as "specify whether we wanted male characters, female characters, or breasts" Truly it fits the topic more. I'm glad they went the way they did on the ending. The whole game is an emotional journey and a less concrete ending with vague hinting would leave a feeling of incompletion I think. So this is the last of Xenoblade in general, at least for now? Hmmmmmmm. They could do an HD upgrade to XC1. I want a full sci-fi game with mechs (or just game with mechs). Xenoblade or not. I would personally want a direct sequel to 2 rather than a straight up Xenoblade 3. Why didn't you ask them about porting the other Xenoblade games too switch? Dang it. @SlippingBack Takahashi wants to put X on the Switch, so it's only a matter of time until that gets rereleased. Haven't played Torna yet but gameplay reviews make me all the more excited for XC3, everything seems to be more refined now. "We left it up to the designers at that point, and we ended up with a lot of females, and I think that’s the best answer I can give." I want a port of X as well. Please don't discontinue the series Monolith! @bratzdoll That was a female. @bratzdoll Um why? Just because you dont like it? Kinda really dumb to fire something because their design isn't to your liking. It's selfish and close minded. Don't be self centered. Xenoblade X for Switch, please? @bratzdoll The person who designed Dahlia also designed Ursula who's the complete opposite of Dahlia in almost every way. While I love Xeno, I'd like to see what else they make. Baten Kaitos 3 would be nice. But I think, based on a concept image I saw for their new game, they're gonna go with a medieval fantasy setting. I'd also like to see a sequel to X some years down the road. Good to see them stopping development on Xeno2 and moving on. But no plans for Xeno X2? Ah, well, still excited to see what they come up with next. Need Xenoblade X on Switch. Need Xenoblade 1 on Switch. An HD Remaster of the first game would be great. Great interview! Takahashi is a rockstar. Xenoblade 2, including the Torna DLC, ja BY FAR my favourite game on Switch . Monolith Soft is a top notch Studio. Can't wait for their next project. Takahashi: "Okay here's the descriptive criteria for every character, we don't got a form or gender in mind so have at it"
I love Xenoblade to death and do hope we see a Xenoblade Chronicles 3 in the future. But I want them to take their time with it and continue delivering the outstanding content they have always done. Xenoblade Chronicles 1 and 2 are my first and second favorite RPGs of all time. No plans to "continue" the series presently, eh? XCX Switch port confirmed! Now they are working on the new game, probably a new franchise. But its Monolith. Soon or later a new Xeno will born. And, at least for me, Torna is better than the main game. So much for "DLCs". Well, lucky me, I just stopped playing Xenoblade 2 around chapter 8...because of other games that just began taking my attention. If I get the expansion, I might be able to play the games the way they were meant to be played, awesome. @MeloMan Probably code for wanting to move on to new ips, which is a good thing. I wouldn't mind Remasters of 1 and X though, since I never got into them previously. Read nothing but great things about Xenoblades series, XBC2 & it’s expansion particularly. I haven’t played any games in the series but am currently looking for a RPG to sink some time into. Can’t decide between this & Octopath 😰 Any recommendations between the two? Great interview. Very enjoyable to read, and I've been wondering about a few of the questions for some time. Regarding a new Xenoblade (or Xenoblade X) sequel: as much as I'd like to see a Xenoblade Chronicles 3 or Xenoblade Chronicles X2 (and didn't they say somewhere that they wanted to make both? ), I would hate to see either game be pushed through to please the audience before strong concepts are developed. The dev teams have quite a reputation to maintain. At the moment I'd be far happier seeing the original Xenoblade Chronicles get a remaster for Switch, and a port of X would be awesome, too, though converting the GamePad functions could be complicated. There are reasons they wanted the full map to be visible at all times, not that workarounds are impossible. That said, there are still pretty accessible ways to play XC and XCX right now. I would really love to see Monolith Soft (and thereby Nintendo) and Bandai Namco team up to remaster the Xenosaga trilogy. I don't at all expect that it will happen, but a guy can hope. Of course, if they have some other new idea in the pipeline, that's also cool. 2D JRPG. Both are good timewasters, so it's down to genre preference. @ArcanaXVI Xenosaga Trilogy is one of my all time favorites. I would love a remaster. Those games stuck with me-music and all. Can't wait to see what Monolith Soft does in the future!